Let's face it, the Nintendo Switch is pretty but it's not Super Nintendo pretty, but luckily for us Pop Skin has showed us how pretty the Nintendo Switch can truly be. Check out how they painted the Switch below! Considering Pop Skin is an Asian company, this Nintendo Switch is painted more like the Super Famicom than the Super Nintendo meaning instead of purple buttons, it has red, green, yellow and blue buttons. 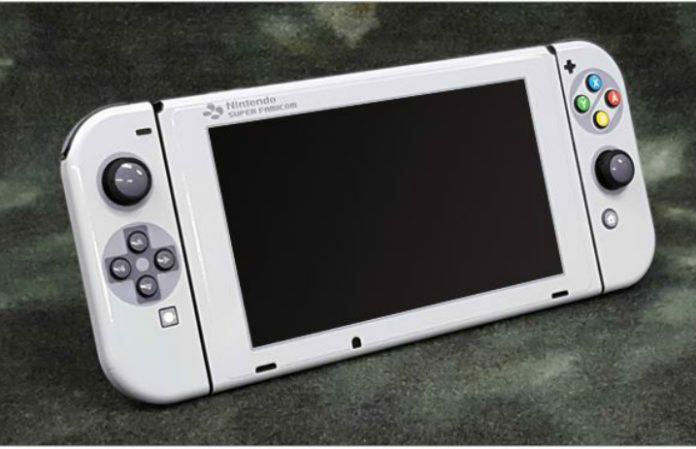 Unfortunately, this is not a Switch skin meaning that your Nintendo Switch can't look like this yet, unless you wanted to take the time to actually paint it. Check out some more pictures of this SNES-inspired Switch below! What classic Nintendo console would you want your Switch to look like? Let us know in the comments!